Make store (An evolution of Justin Stitches) friends and family shopping night on Granville Island on November 30, 2011. 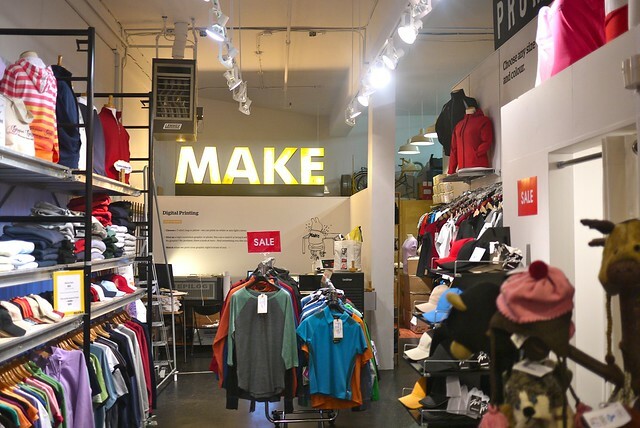 I strolled down to the Make store's holiday sale to check out the recently renovated custom shirt printing, embroidery, arts and craft, and miscellaneous novelty store to check it out. 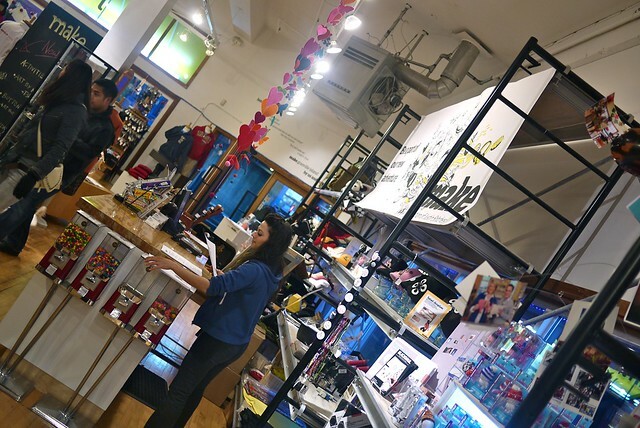 The store was recently featured prominently in the Vancouver Sun for their massive rebranding effort. Owner Stacy Hall shelled out a pretty penny to completely revamp her store's identity. 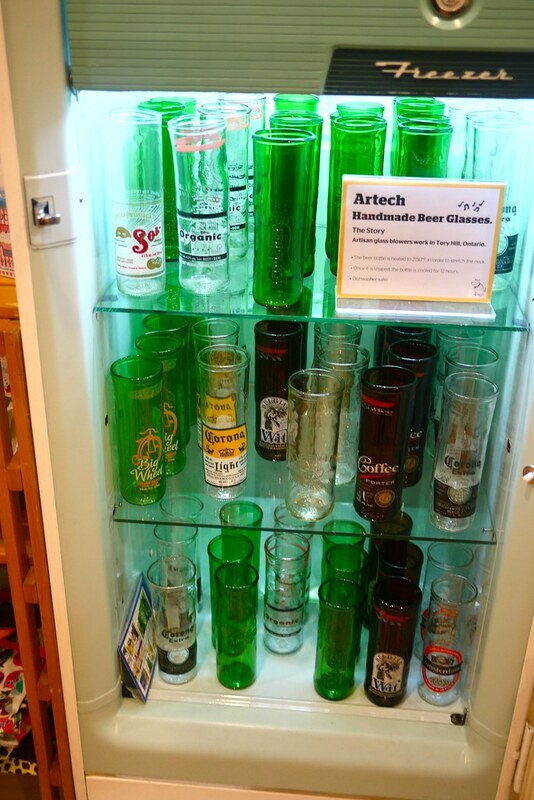 I was most intrigued by the retro refrigerator full of handmade beer glasses melted down and recycled from glass bottles. 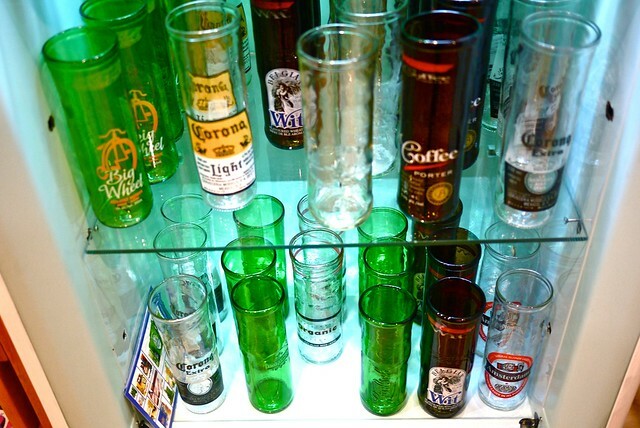 I managed to pick the brown coffee porter glass to buy from the many choices. I was surprised how spacious Make was and it's large assortment of knick knacks and novelty items including a whole assortment of bacon related items. I strongly debated whether or not to purchase a neon pink Hello Kitty paper wallet. More than anything, I was overwhelmed with the abundance of choice and gift options at the store. 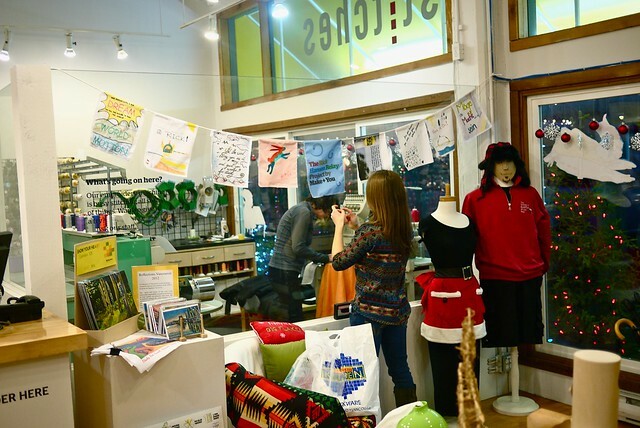 They virtually have the means to customize anything and everything from shirts to notebooks and crafted items. It's certainly an ambitious evolution from the Justin Stitches custom clothing shop.